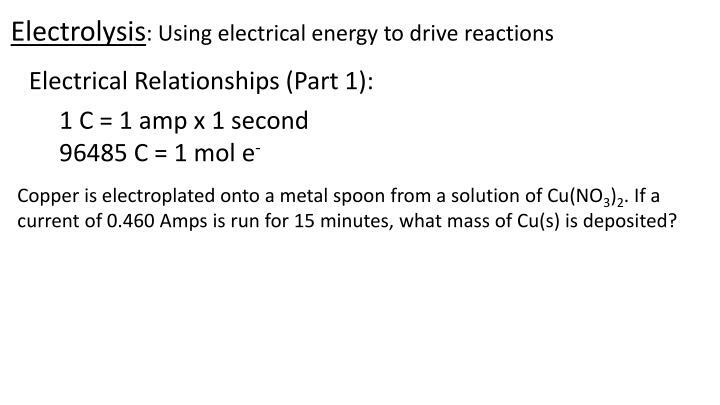 current of 0.460 Amps is run for 15 minutes, what mass of Cu(s) is deposited? 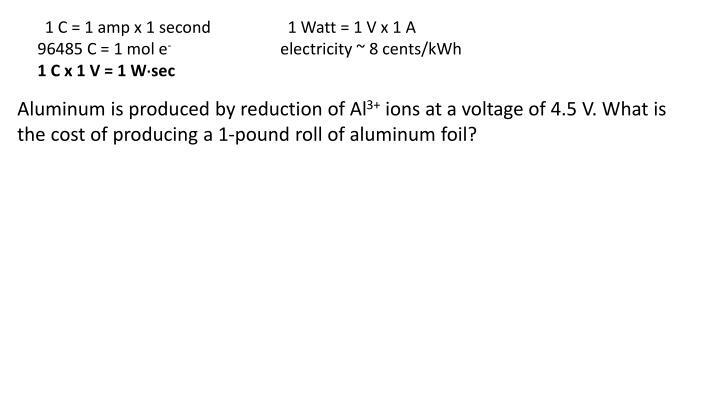 the cost of producing a 1-pound roll of aluminum foil? 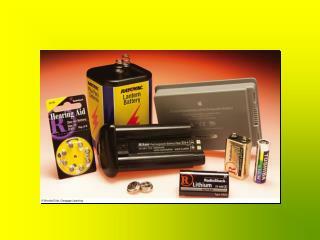 This battery provides 2200 mAh of electricity. 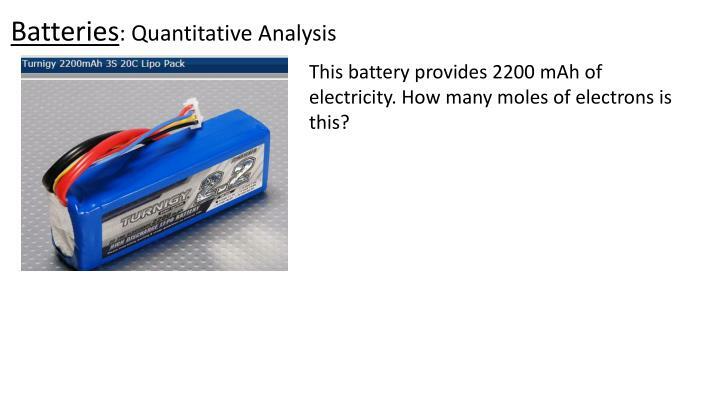 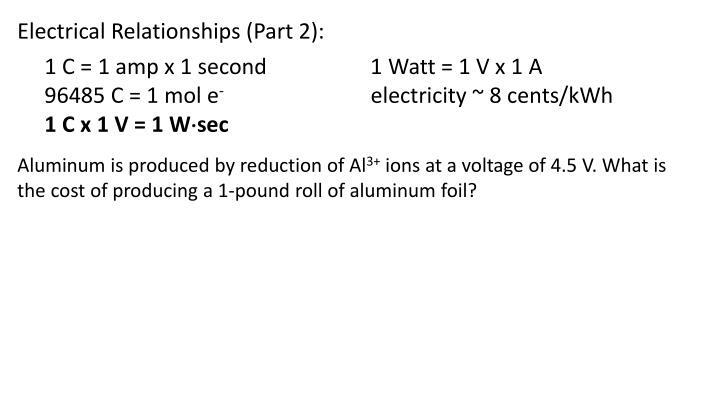 How many moles of electrons is this? 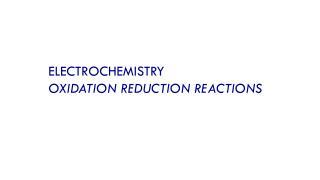 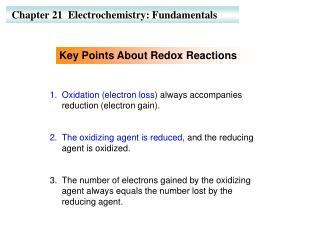 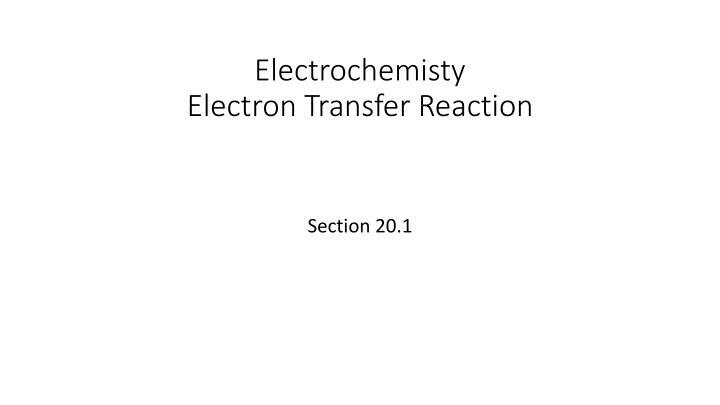 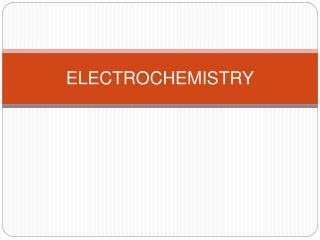 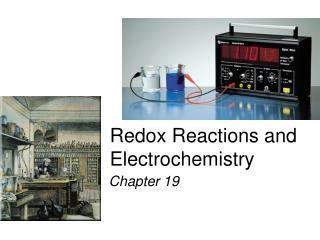 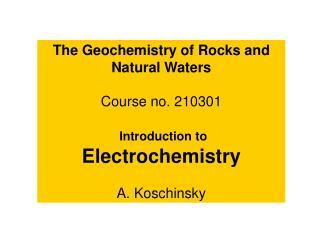 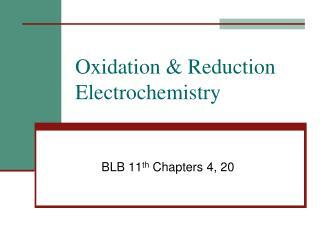 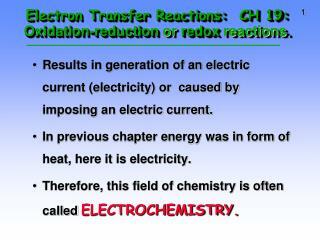 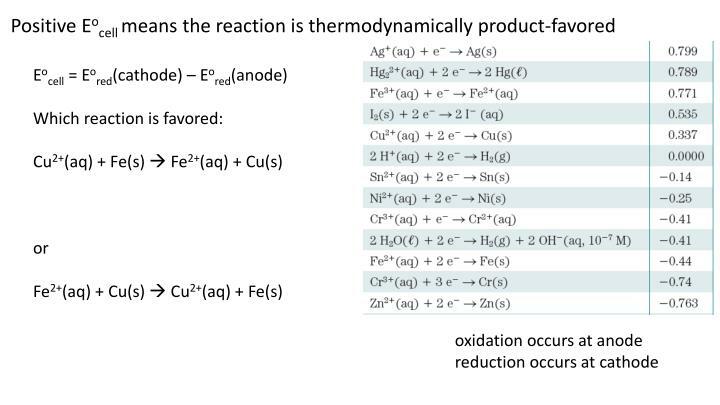 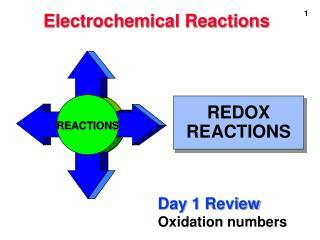 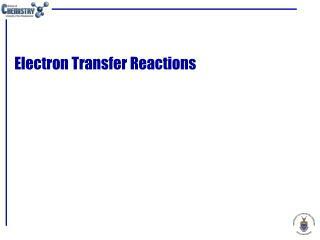 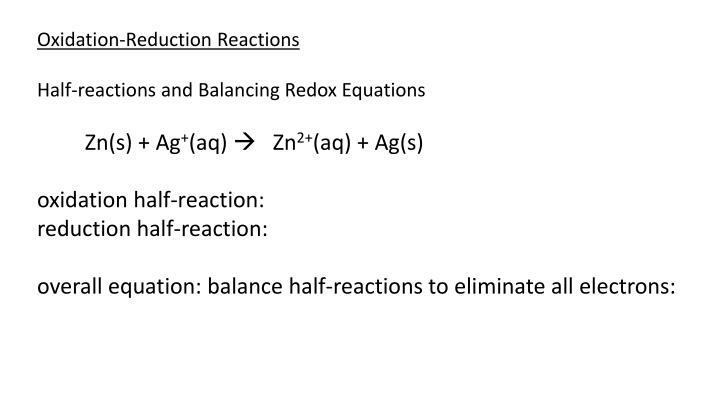 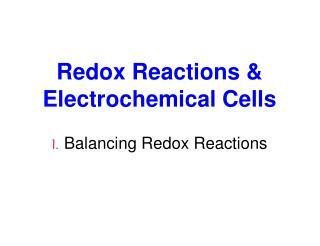 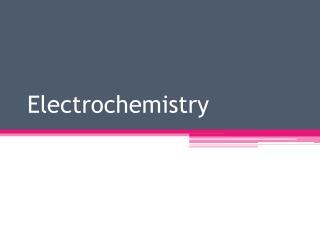 Redox Reactions and Electrochemistry -. 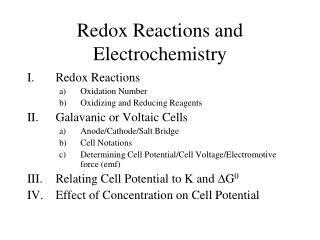 redox reactions galvanic cells standard reduction potential cell potential free energy effect of concentration battery corrosion electrolysis. 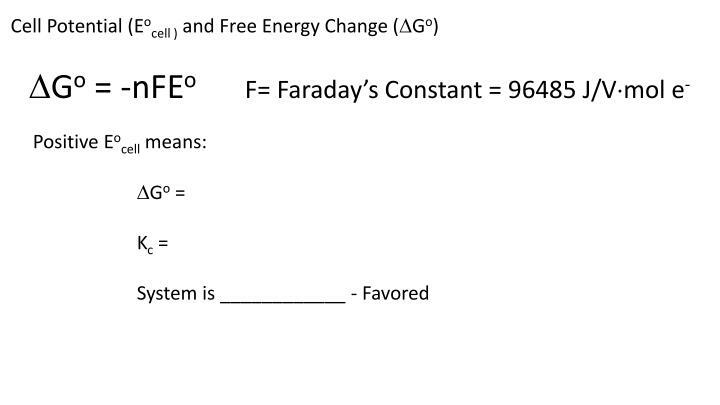 2fe ( s ) + o 2 ( g ) 2feo ( s ). 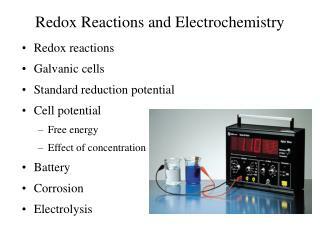 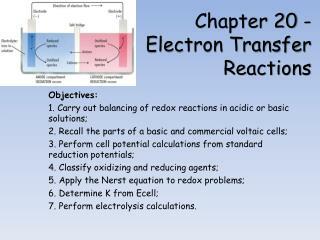 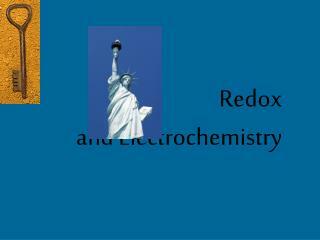 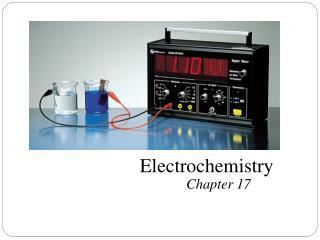 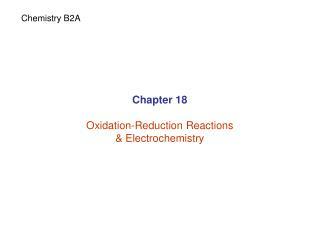 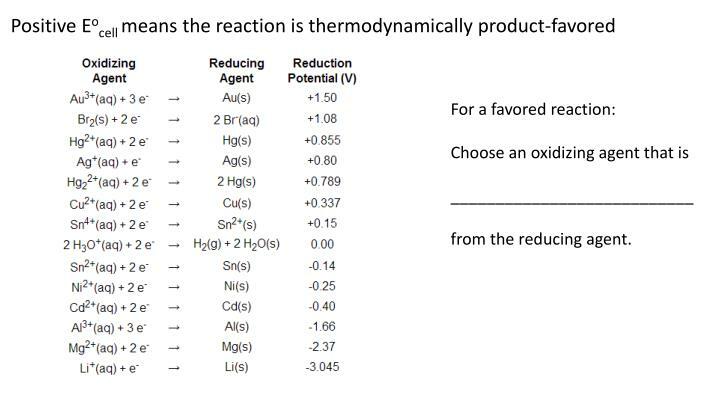 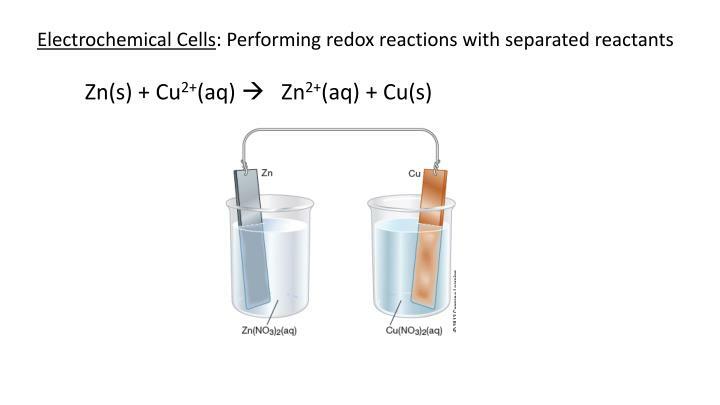 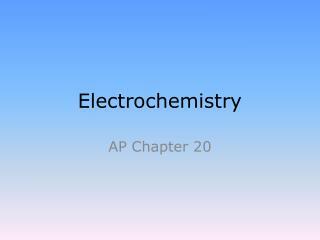 Redox Reactions and Electrochemistry -. 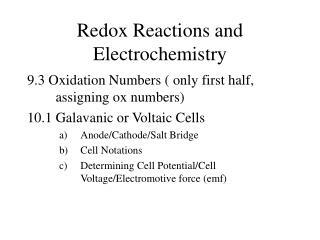 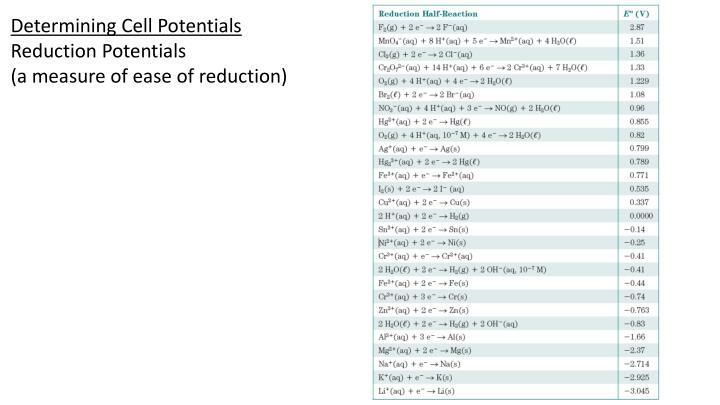 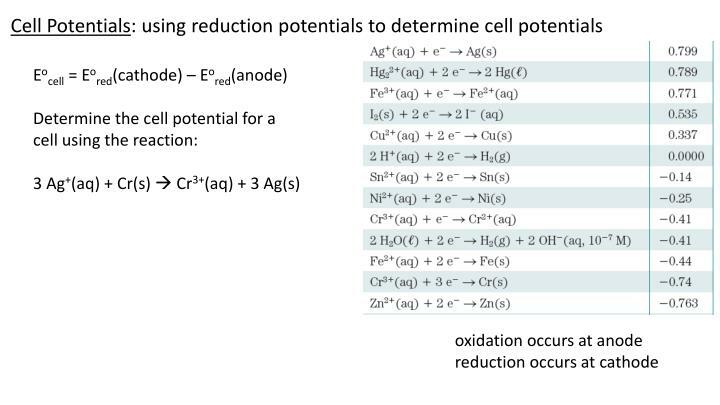 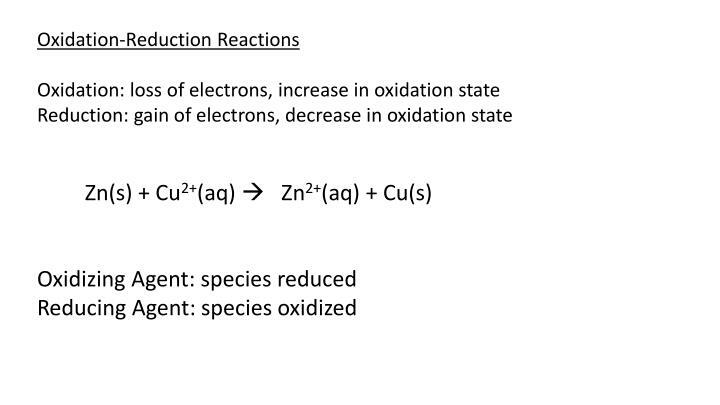 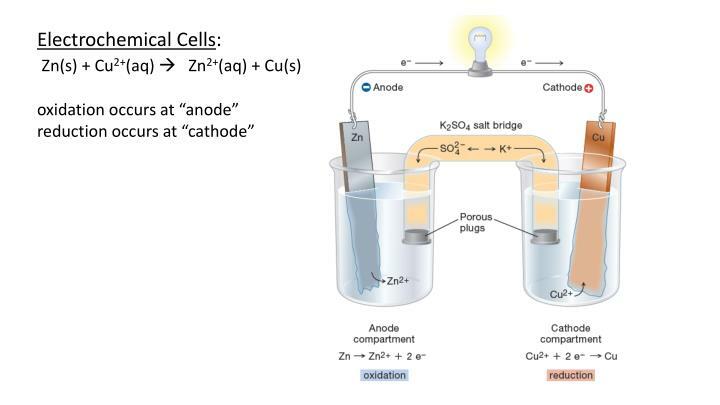 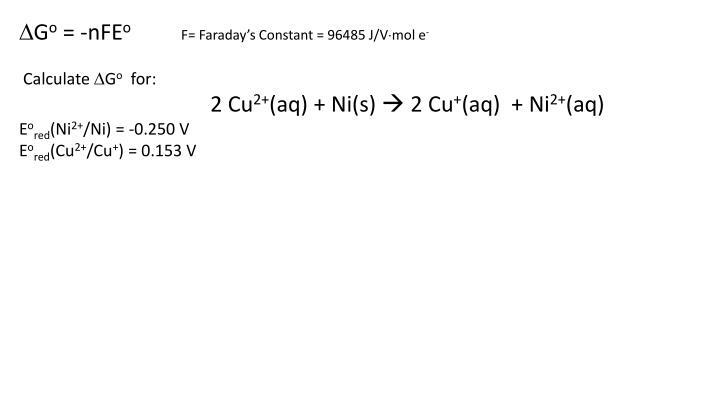 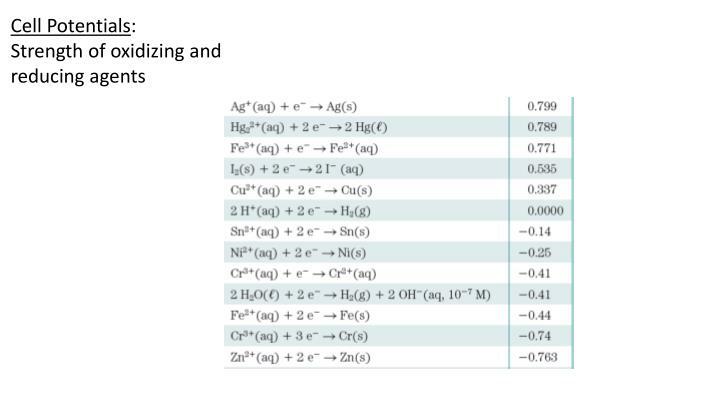 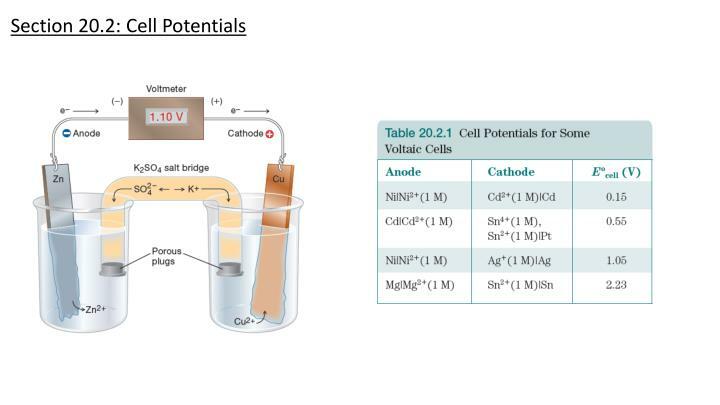 9.3 oxidation numbers ( only first half, assigning ox numbers) 10.1 galavanic or voltaic cells anode/cathode/salt bridge cell notations determining cell potential/cell voltage/electromotive force (emf).